When you stay at Palace Hotel Wellness & Beauty in Bormio, you'll be connected to the convention center, just steps from Bormio Ski Area and 11 minutes by foot from Bormio Thermal Baths. 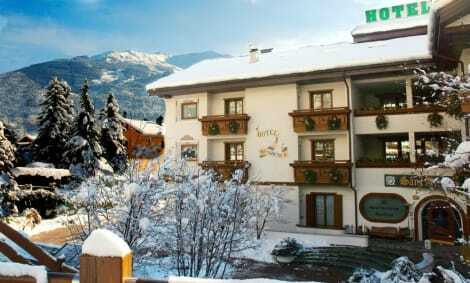 This 4-star hotel is 15.1 mi (24.2 km) from Skirama Dolomiti Adamello Brenta and 15.1 mi (24.3 km) from Sole Valley. When you stay at Hotel Residence Sant Anton in Bormio, you'll be near ski lifts, just steps from Bormio Ski Area and Bormio Thermal Baths. 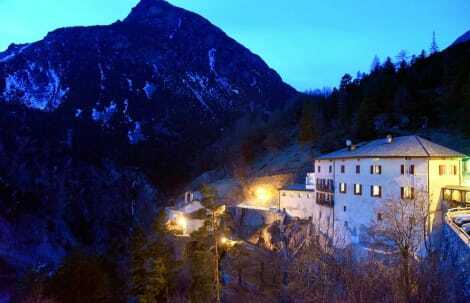 This 4-star hotel is 15.3 mi (24.6 km) from Skirama Dolomiti Adamello Brenta and 15.3 mi (24.6 km) from Sole Valley. Make yourself at home in one of the 42 guestrooms featuring minibars and flat-screen televisions. Complimentary wireless Internet access keeps you connected, and satellite programming is available for your entertainment. Conveniences include phones and safes, and you can also request cribs/infant beds (complimentary). Check-in time 14.00 Check-out 10.00 Remarks: Rates do not include any local tax that have to be paid directly to the hotel in addition to the total cost. Bedding preferences are not guranteed and are subject to supplier availability. Enjoy the convenience of ski-in/ski-out access at this hotel, which also features an outdoor pool and a spa tub. This hotel also features wireless Internet access (surcharge), babysitting/childcare (surcharge), and an arcade/game room. Enjoy the convenience of ski-in/ski-out access at this hotel, which also features a health club and an outdoor pool. Additional amenities at this hotel include complimentary wireless Internet access, babysitting/childcare (surcharge), and an arcade/game room. lastminute.com has a fantastic range of hotels in Bormio, with everything from cheap hotels to luxurious five star accommodation available. We like to live up to our last minute name so remember you can book any one of our excellent Bormio hotels up until midnight and stay the same night.